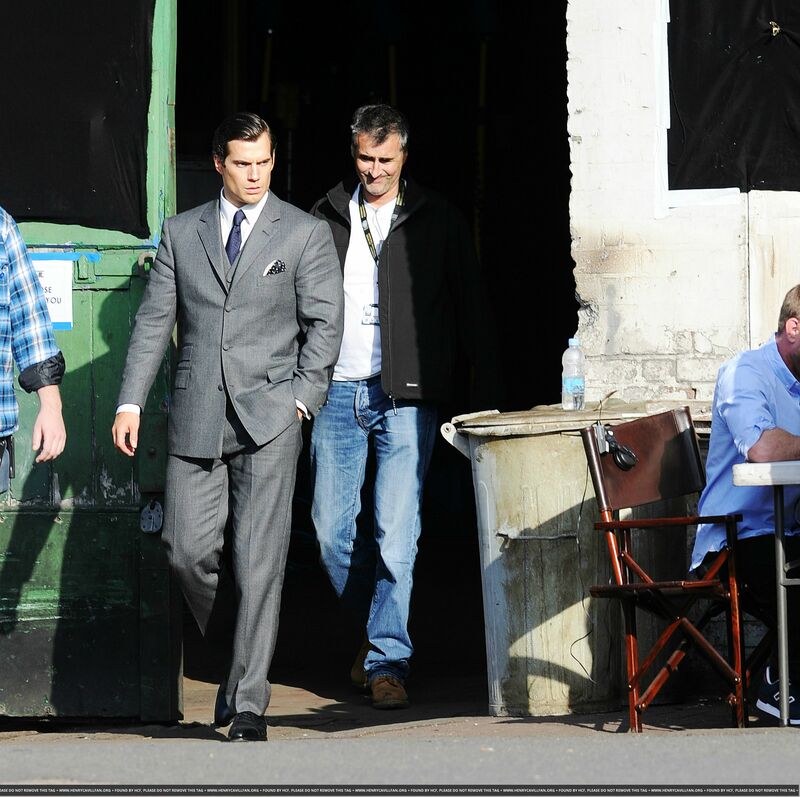 Henry Cavill News: BTS With The Men From U.N.C.L.E., New Still, More! 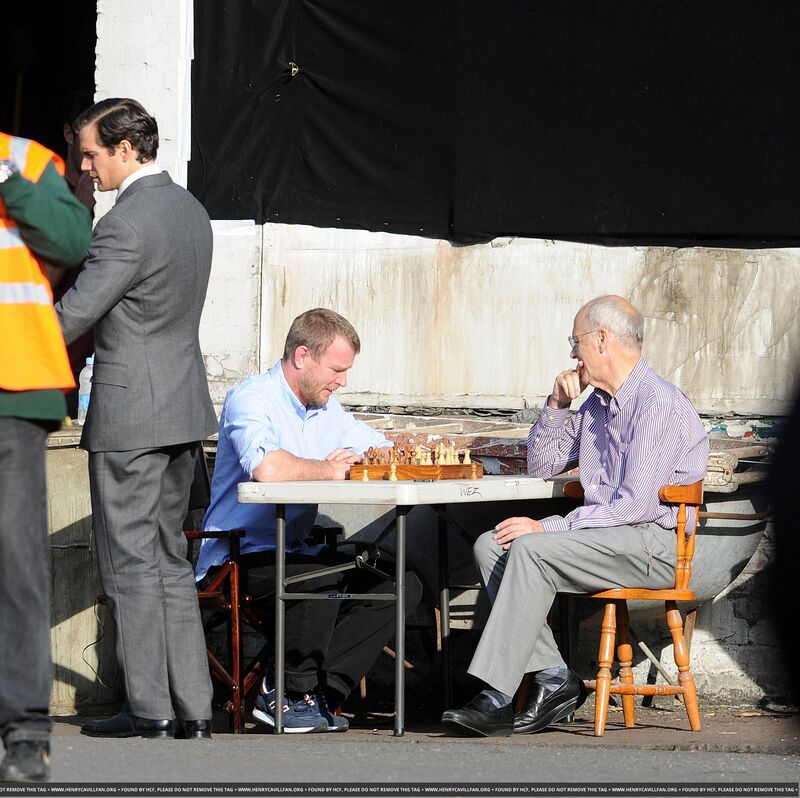 BTS With The Men From U.N.C.L.E., New Still, More! "A day of chopping wood"
Two and a half months from today, The Man from U.N.C.L.E. will be hitting U.S. and UK theaters (woohoo!). So we're looking back to when it all started.. in the summer of 2013. Thank you, Armie Hammer. Armie recently went public on his Instagram account, allowing the world to see these great candid moments during pre-production near the Warner Bros. Studios in Leavesden. That day marked the first time we saw Henry and Armie together in this pic, posted by Armie's lovely wife, Elizabeth. These awesome shots were shared by Armie. Before Kal became our favorite #SuperPuppy, Archie came close! "It's official, Archie has a badge"
That's star power right there! And following the director's latest posts on his Instagram account, we can see what Henry means. Ritchie has been sharing his love for chess, basically calling out those who have dared to go up against him.. and lost. They include Armie..
"The producer didn't say much"
By the way, this new still is featured in Entertainment Weekly's 'Summer Must List' issue out this week. Check out the article, that focuses on The Women from U.N.C.L.E. 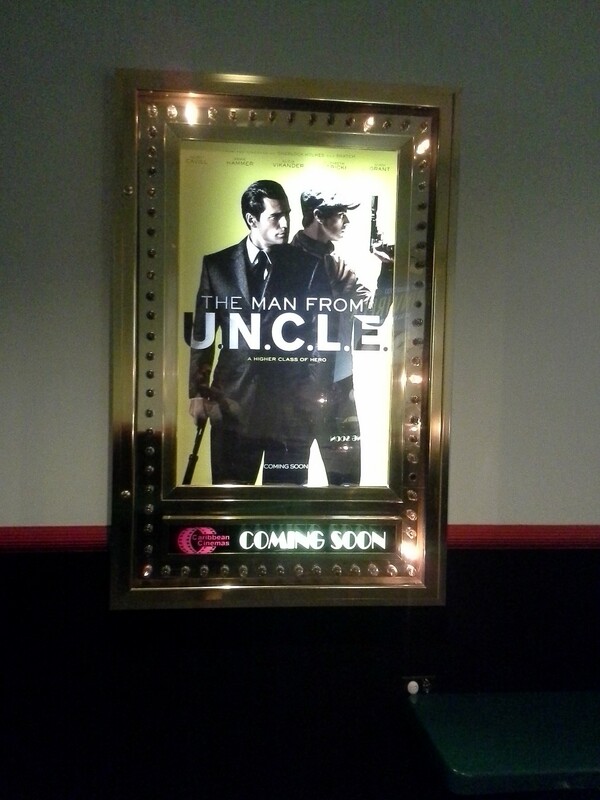 This past week we also got a couple of updates from the film's composer..
"So I walk in the theater and what do I see? Henry...... Unfortunately during the San Andreas previews there was no MFU trailer but at least the poster is up. I tried to buy it but the manager did not have an extra one to give me. He told me at least 10 people just tonight tried to purchase it so that was awesome to hear, means people are excited about the film." SuperNapoleonHenrySolo...<3 <3 <3 U :D Can't wait to see MFU! love that Henry has a glass of wine as he sets off to chop some wood with the boys LOL! nicely done! It seems like he is a great person to work with, always seems relaxed and in good spirits making the atmosphere calm and also fun, I here he has a great sense of humor as well. 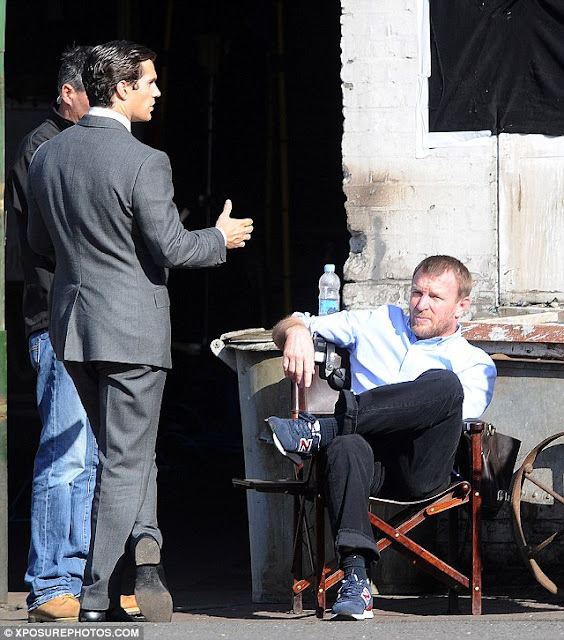 Not to mention his work is impeccable;) love Guy Ritchie one of my favorite directors. Awesome. That's great to hear. If they want that poster the fans are definitely excited about the movie. Thanks for sharing that River and HCN. I'm sooo excited can't wait. Blog party! Thanks for the updates HCN. Henry looks great in those behind the scene pics. Henry has many fans in Puerto Rico. I hope he can attend the PR ComicCon next year. Hi is man from u.n.c.l.e releasing in india? coz thy havent shown no teaser trailer yet in the theaters! You're right, there is no release date listed for India yet. http://www.imdb.com/title/tt1638355/releaseinfo?ref_=tt_dt_dt It could just be the studio working out the details with the distributor or a delayed release. I'll keep an eye out and flag you. Let me know if you hear/see anything on your side? - You're really going to love Henry in this role. ok thx... sure wil let u guys kno incase i find out anything here...really hope thy show d movie here! keeping my fingers crossed... dying to c henrys movie its been so long since superman! & i absolutely agree with u i'll luv him as solo.